Of the requests for asylum in France made in 2016, more than 10 000 applications were made by people in Paris and were made in the context of a rising number of refugees and asylum seekers since 2015. This increase has stirred a debate in France around its “universal” migrant integration model, which aspires to equal treatment for all and for which the main tool has been “Integration Contract” for migrants. 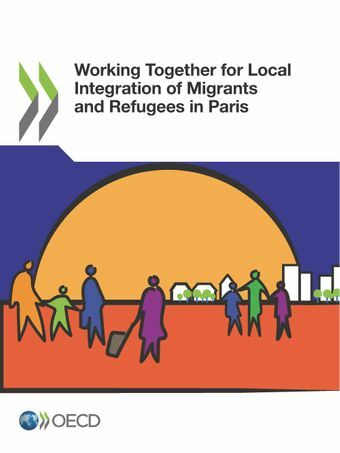 At all levels of government, measures are now being designed for “reinforced” support for migrants, helping them to better integrate socially and to better access the job market; these measures are tailored for all persons with a residency permit, in particular for refugees. This case study examines the City of Paris and its ambitions to successfully integrate its new inhabitants. The municipality sets aside dedicated resources for this and actively involves French citizens in implementing activities to foster social cohesion. The city is still attracting new migrants while socio-economic disparities and segregation remain marked in Paris and its region, in a context of limited emergency accommodation facilities for migrants and a tight housing market. More can be done to improve coherence across levels of government and among partners, in order to prevent fragmented service delivery and to improve how the impact of integration programmes is measured.